It never fails, year after year, camp after camp; I say to myself, “This camp was the best!” I truly believe each year we step up our game and provide a memorable experience for every camper whether this was his/her first or 10th time participating. We pride the VCYBA on our core principles: Vision, Balance, Hard work, Teamwork, and Perseverance. More importantly, we have FUN! 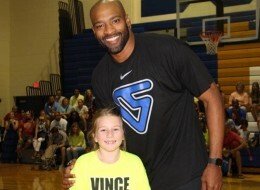 The purpose of the VCYBA is to not only teach basketball fundamentals, but also to create lasting life skills. Incorporating an education station gives kids the opportunity to think outside of the box, which translates to intelligent ball players and individuals. Our goal is to ensure each participant leaves a more confident and well-rounded person. This year’s camp was special in many ways. We had campers travel more than 4,000 miles from Brazil, Ohio, Iowa, Minnesota, New Jersey, Connecticut, Virginia, Wisconsin, Indiana, North Carolina and South Carolina. 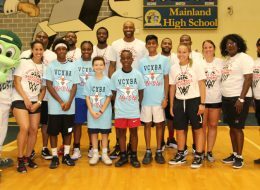 Additionally, we had an amazing coaching staff from Florida, West Virginia, New York, New Jersey and Connecticut. There was definitely a mix of national and international styles on the courts, which makes this camp unique from others. 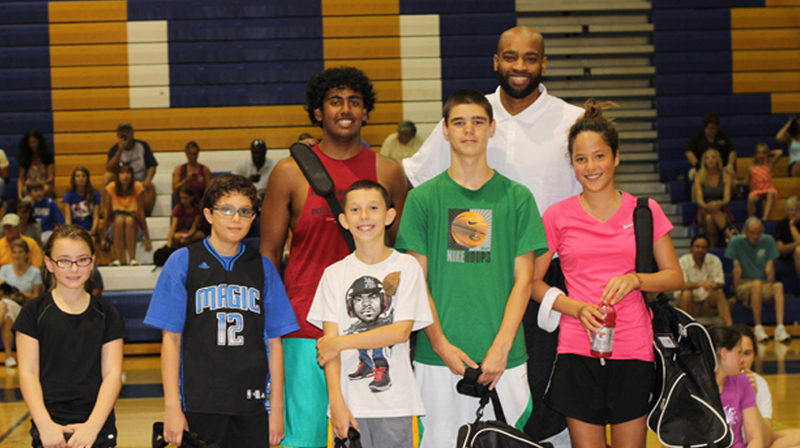 Additionally, this year’s camp was a real family affair. My brother Jeff was the Academy Director, brother Chris was the Academy Assistant, Aunt Errolyn managed the Education station, daughter Kai participated as a camper and Mom oversaw everything! After 14 years of hosting my camp, I still find the same excitement as I did back in 1998. 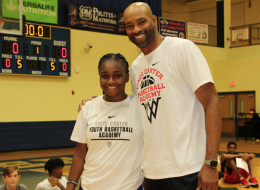 Each year I look forward to another summer of camp and I’m humbled to see children have such an interest in the game that they’re willing to travel across the country or even to another continent to participate in the Vince Carter Youth Basketball Academy! As we place VCYBA 2012 in the history books, I’m now looking forward to VCYBA 2013 and I hope to see you there. Oh yeah…and make sure you bring a friend! Have a safe summer, successful school year and I’ll see you next summer!